Chalkboard doodles I made at Silas’s first day of preschool here in Hong Kong. It was Silas’ first day of preschool today. It was a nightmare getting him out the door in the morning (classic) but once there he had a great time. 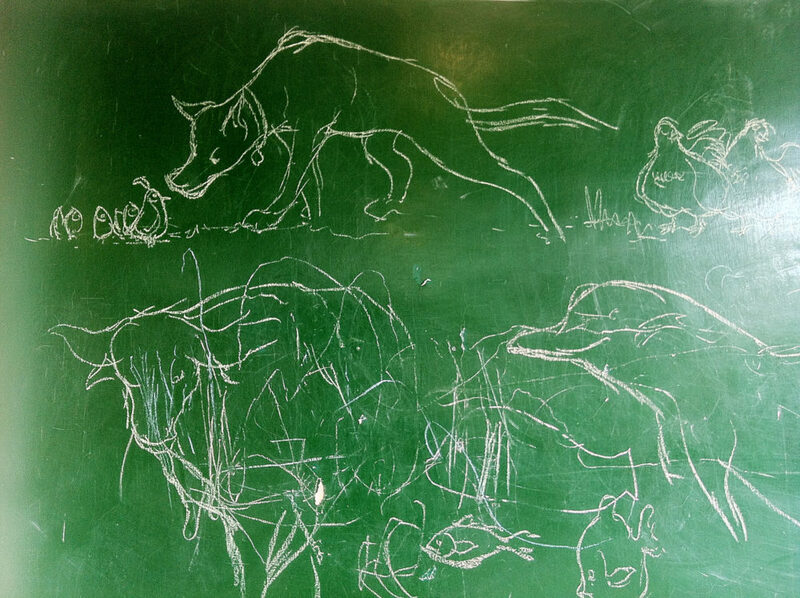 The school has a large outdoor chalkboard so I spent some time drawing with the kids, taking animal requests.